If you’ve ever seen a TV commercial, you’ve probably heard about how a “motorcycle accident attorney fights for you,” or something to that effect. Usually, it’s in the context of the attorney explaining how they can get you the most money, everything that you deserve, and so forth. For our prospective clients, we wanted to spell out exactly what an attorney will do for you after your motorcycle accident. These are just some of the ways that we can help you to get your proper compensation. When you schedule a free consultation with our motorcycle accident attorney team, we’ll be glad to sit down with you. We are always happy to talk to anyone about their potential case. After listening to your entire story, we’ll lay out exactly how we can help you as well as how we’ll go about doing so. We’ll recommend some things for you to do, as well as some things for you not to do. Each are vitally important, but we understand that it may be a bit difficult as you’re recovering from an accident. One of the most important things your attorney will tell you not to do is: don’t sign anything from an insurance company. It’s so important, it’s worth saying twice: don’t sign anything from an insurance company until we look at it first. Insurance companies are notorious for trying to get injured parties to take less compensation that they should for their cases. Indeed, that’s the entire business model of the insurance company. Instead, show us all documentation, and we’ll tell you whether or not you should sign it. On top of that, don’t give the insurance company a recorded statement either. Particularly don’t give one that does anything more than lay out the barest, most minimum facts about your case and situation. The less information you give them, the less harm you can do to you eventual case. Should you tell the insurance company that you’re “feeling OK” or something, even something that perfectly innocent, can be used against you later. It will particularly be used against you should you develop injuries later on as a result of your car accident, as many people do, unfortunately. In the end, that’s one of the best reasons to hire our lawyers: we know what your claim is worth. Our years of experience have given us a great understanding for exactly what someone’s motorcycle accident statement can be worth, potentially. The insurance company knows, too. That’s why they’re always trying to get you to take a low ball offer. If they get you to take less money than you deserve, then they’ve made money. You’ve been through too much with your motorcycle accident. You deserve to get everything that you’re owed. We believe that communication between a motorcycle accident attorney and their client is essential. That’s why we always leave the means of communication open, so that you can always reach us. Indeed, we update our clients on their cases often. That way, they can always make the best, most informed decisions for themselves as well as their loved ones. We also do this all in a straight-forward, honest manner. You’ll never have someone from the LA Injury Group weighing you down with a lot of “legalese.” We tell it to you straight. Should the case require a deposition, we help you prepare for that as well. With our many years of experience backing us up, we coach you to the point where you’ll be as ready for your deposition as possible. We’ve seen what works and what doesn’t. Through that, we can help to make your deposition as great as possible. In turn, that will make your case all that much more compelling. Your deposition should be a powerful too, and we can help to make it so. There are many different kinds of compensation that someone who’s been injured in a motorcycle accident can attempt to receive. That’s what our attorneys are focused on at all times: ensuring that our clients get everything that they’re entitled to. Whether it’s at the negotiation table or in court, we focus on ensuring that our clients get everything they should have. You didn’t ask to be in an accident, and it wasn’t your fault. We can help to make it right. After a motorcycle accident, you’re liable to go through plenty of pain and suffering. Depending on how badly you were hurt, everything in your life can be that much more difficult. Even if you weren’t hurt in the initial accident, you may develop injuries later on. Whiplash is just one of the many ailments that so many suffer in accidents that don’t make themselves known until months after the accident. When’re hurt badly and continue to suffer, you deserve to be paid for that. That’s where we come in. One thing your attorney will tell you to do: get as many pictures of your injuries as well as the crash site as possible. The more of them that you have, the easier it can be to prove your case. Many injuries will look better, even internal ones, by the time the case goes to trial or even to negotiation. Having as many pictures as possible of your injuries when they were at their worst can go a long way towards proving how much pain and suffering you’ve been through. 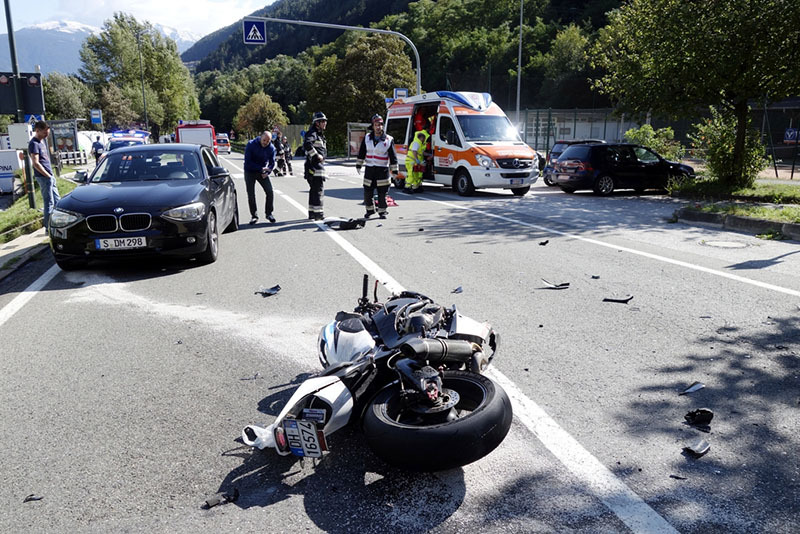 Most people who’ve been through motorcycle accidents don’t seem to realize they could be compensated for mental anguish until our motorcycle accident attorney tells them. It’s true: you can be compensated for grief, anxiety, non-stop worry, all that kind of thing. You wouldn’t have had those same concerns and debilitating mental issues until after the accident. This is just one of the many areas where our personal injury lawyers stand tall. They’ve fought insurance companies for years to get people the money they deserve for all the mental anguish they’ve been through. Unfortunately, most people who are hurt in a motorcycle crash have to go to the hospital. While you’re in the hospital, it’s an important time to focus on your recovery. However, it can also be extremely difficult to pay for. Even if you have health insurance, most health insurance plans don’t cover everything that can come as a result of a motorcycle accident. We can get you the compensation you deserve to pay for your medical bills. That way, all you have to do is focus on your recovery. If you are laid up in the hospital after a motorcycle accident, odds are it’s pretty difficult to do your job. That means that you’re losing wages from the time you’re not in work. On top of that, if you’re hurt too badly in the accident, then you might have a reduced earning power during your job, too. There’s compensation for that as well. Here at the LA Injury Group, we can make sure that you get all the “lost wages” you’re entitled to and then some. If you hadn’t been hurt, you would’ve kept earning that money – which is exactly the kind of thing we can help with. The aftermath of a motorcycle accident can be very complex and complicated. There are so many things for you to take into consideration, and you’re probably recovering, which can make it difficult to make all of the hard choices you have to make. When you hire our motorcycle accident attorney however, that gives you one less thing to worry about. Instead of thinking about how you’re going to deal with handling your own case, our professionals can step in and do what has to be done. To schedule that free consultation and lift the burden from your shoulders, call us at (818)210-4558 or go to our website.